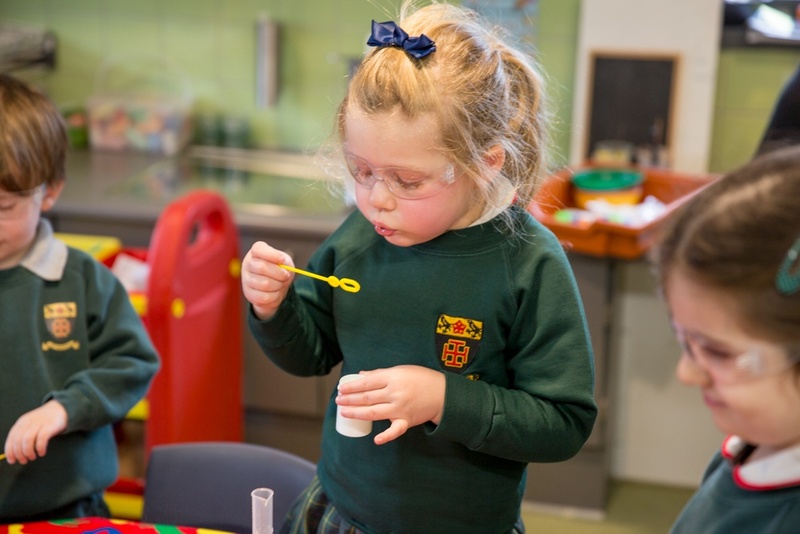 Science Week at the Junior School proved to be as thrilling and explosive as anticipated! 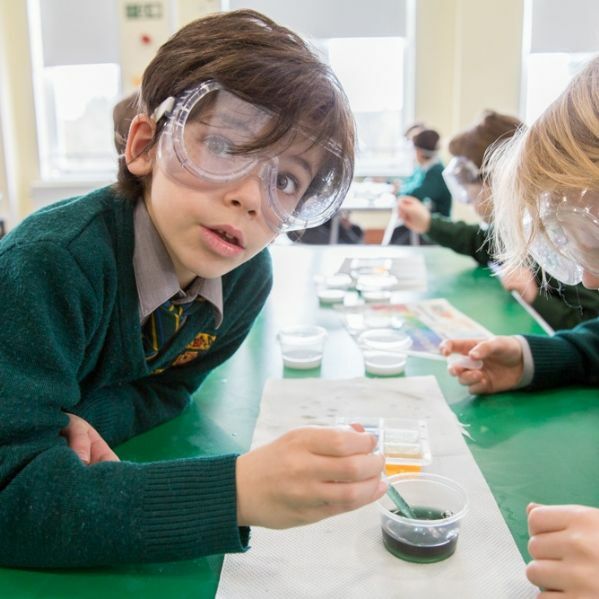 Workshops were held all week, with every child encountering some new aspect of the scientific world. 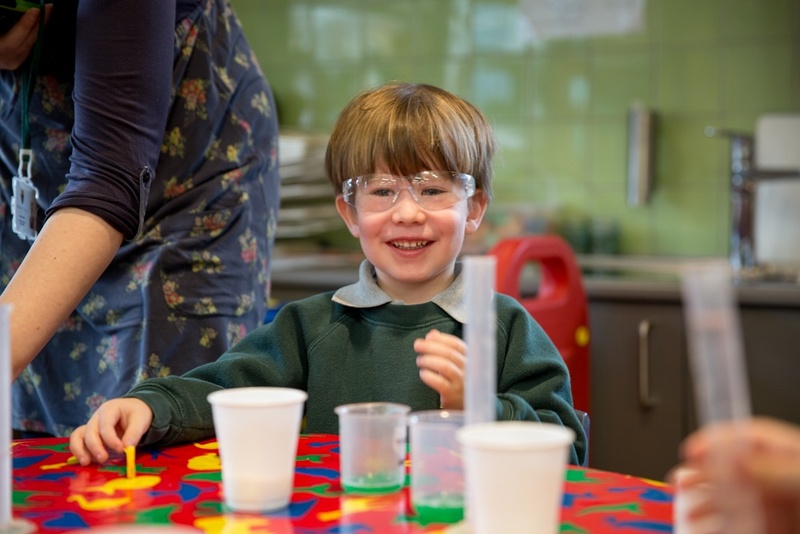 Activities kicked off with Techno Tim, who brought tactile chemistry to life. 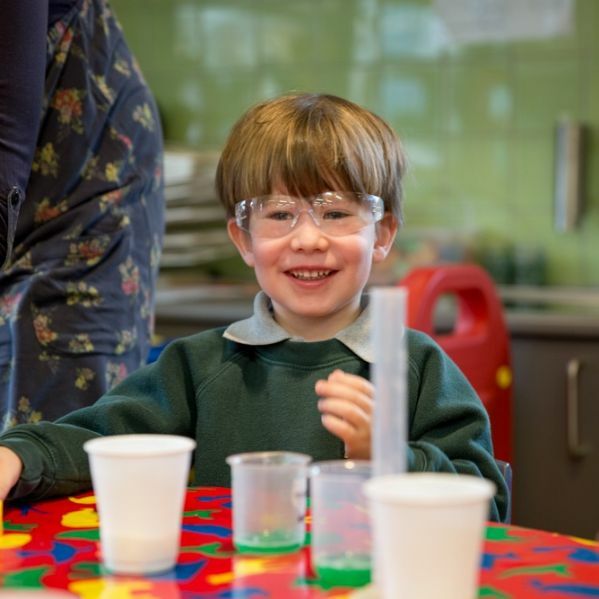 His ‘Rainbow Bubbles’ workshop enchanted Pre-Prep 2 and 3 (years 1 and 2) with touchable bubbles and delicious, tongue tingling sherbet. 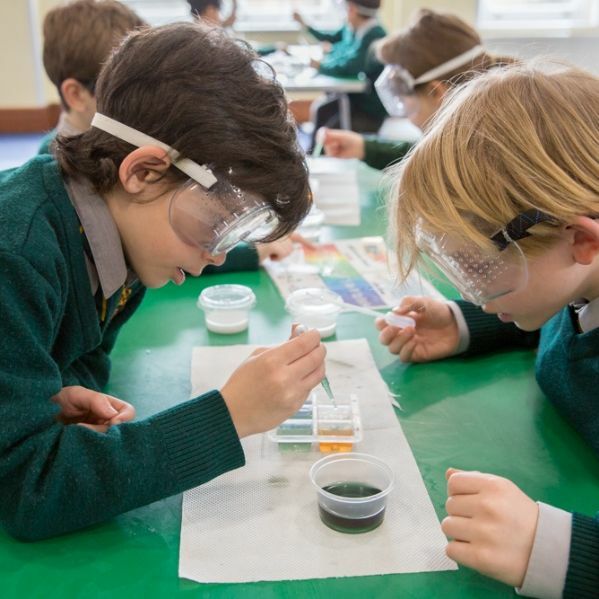 They discovered too that white light is actually a spectrum of colours! 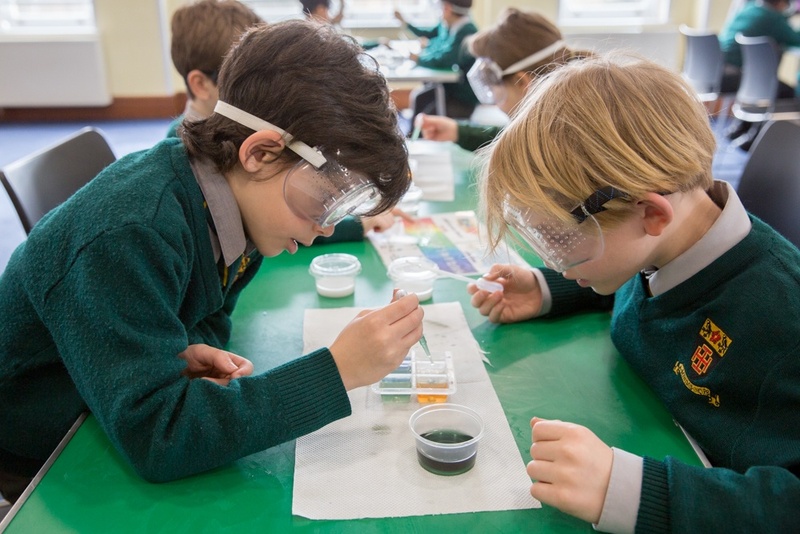 Lower Preps and Form 2 (years 3 and 6) explored the murky world of chemicals by testing the pH (acidity) of household products and then creating (oh joy!) their own sublime slime. 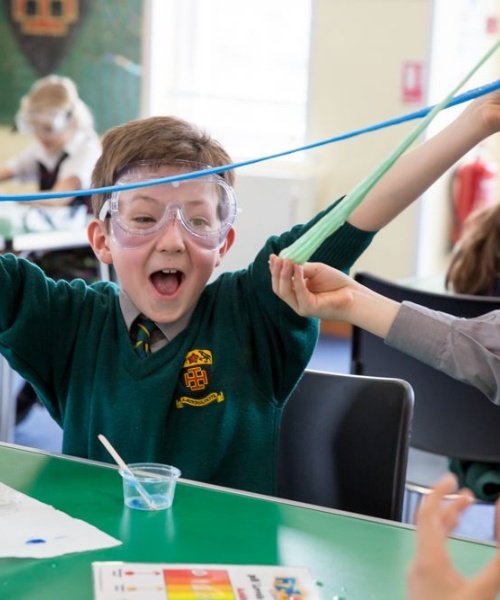 Upper Prep and Form 1 (years 4 and 5) had great fun creating strong structures from rods of newspaper with Mr Jeremy King from Engineering in Schools. 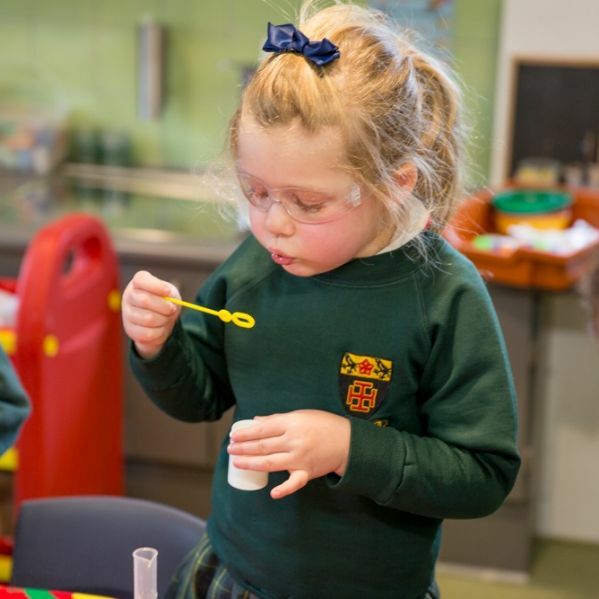 The children had been preparing for these STEM workshops the week before, researching designs as well as constructing strong newspaper rods using the STIXX machine. Upper Preps constructed unique STIXX chairs based on the National Science Week theme of ‘Exploration and Discovery’. 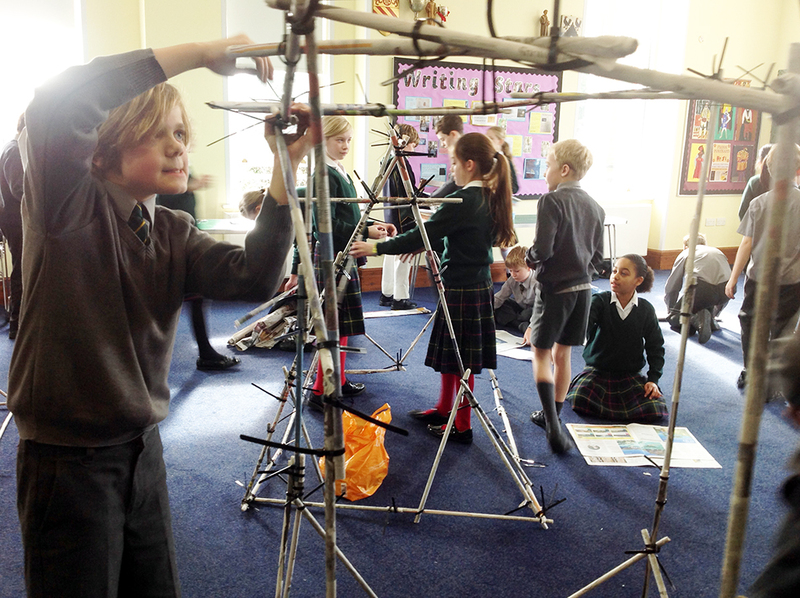 Form 1 showed off their knowledge and the application of 3D shapes in the construction of ingenious free standing shelters. The end results were not only pleasing to the eye but sturdy too! Robinson Crusoe would have been green with envy! 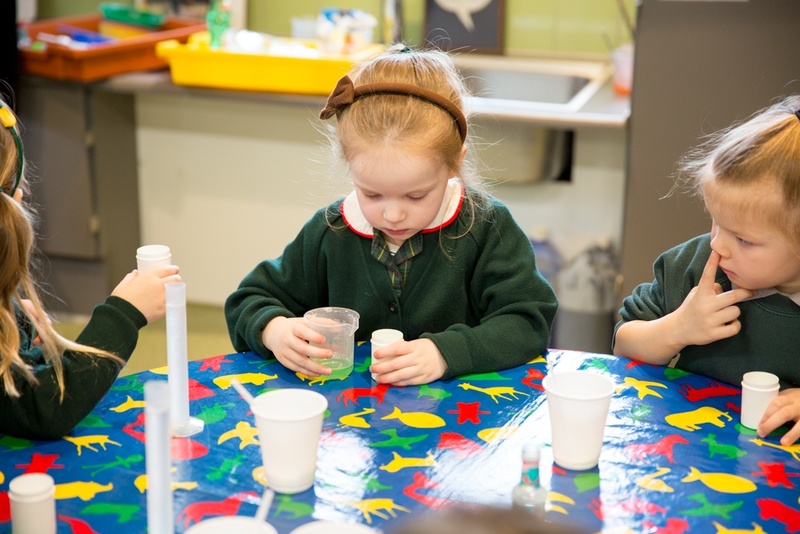 There were workshops for the Nursery children and Pre-Prep 1 (Reception), too. 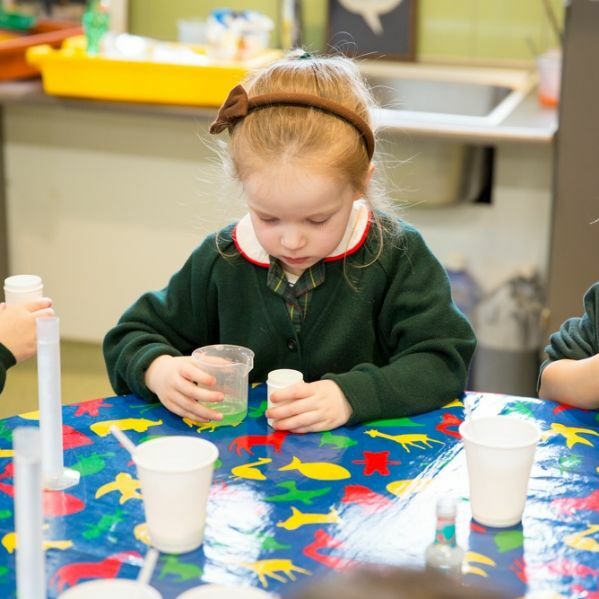 It’s never too young to start, and what a fun time they had! 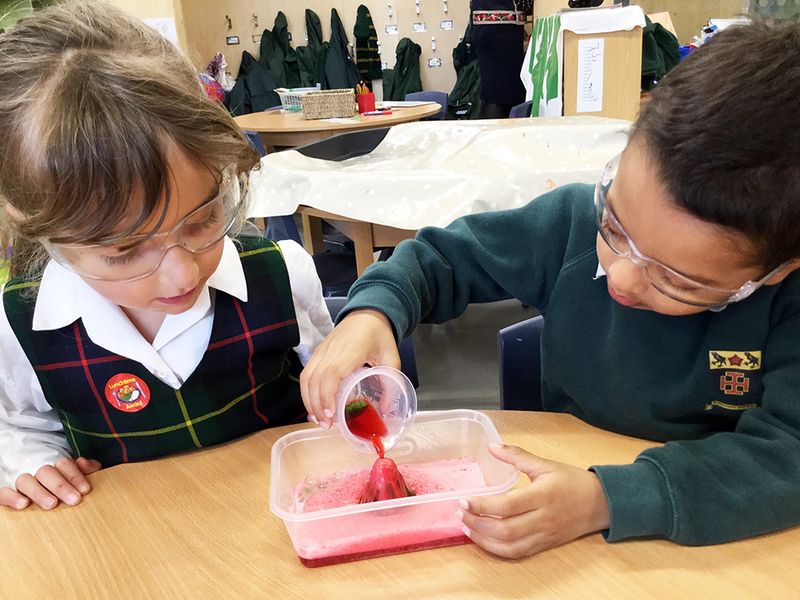 The Nursery children concocted their own extra strong bubble mixture and children in Pre-Prep 1 investigated chemical reactions, particularly the mixing of coloured vinegar and sodium bicarbonate to make a fantastic erupting volcano. 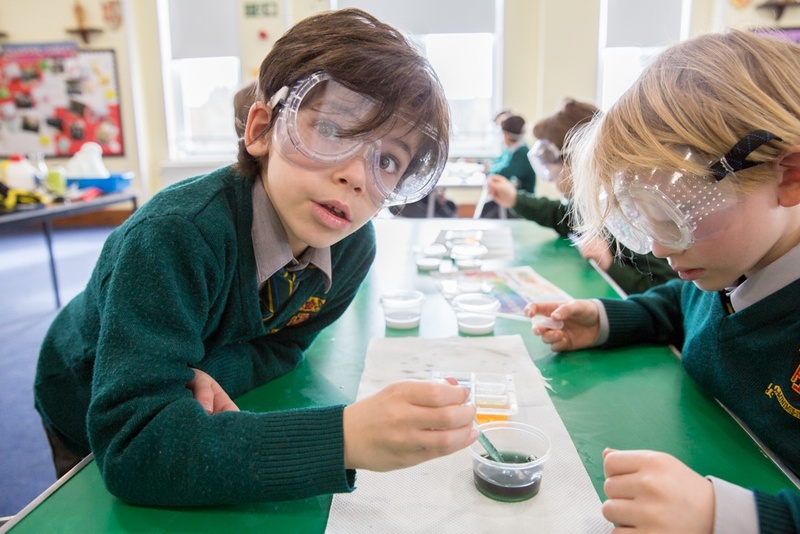 The week finished with a BANG (literally), in an exciting final assembly led by Miss Djukic and Mrs Maidment from the Senior School. 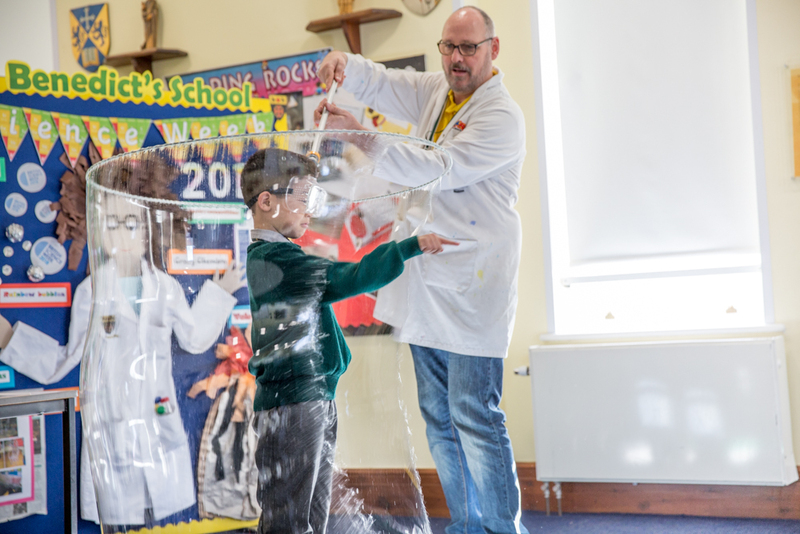 Their demonstrations had the whole school enthralled. 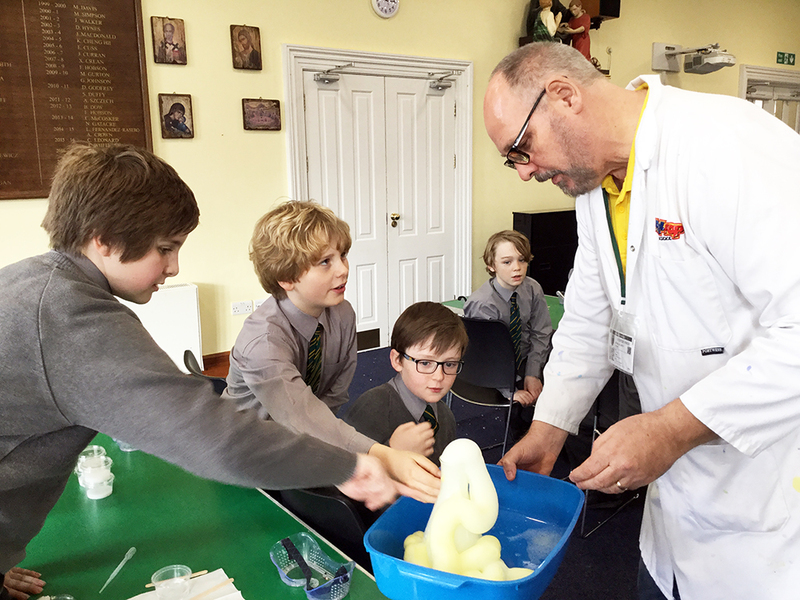 All were amazed by the different tests for gases, making elephant toothpaste and, the grand finale, the explosive reaction between oxygen and hydrogen.